At least they are calorie-free! 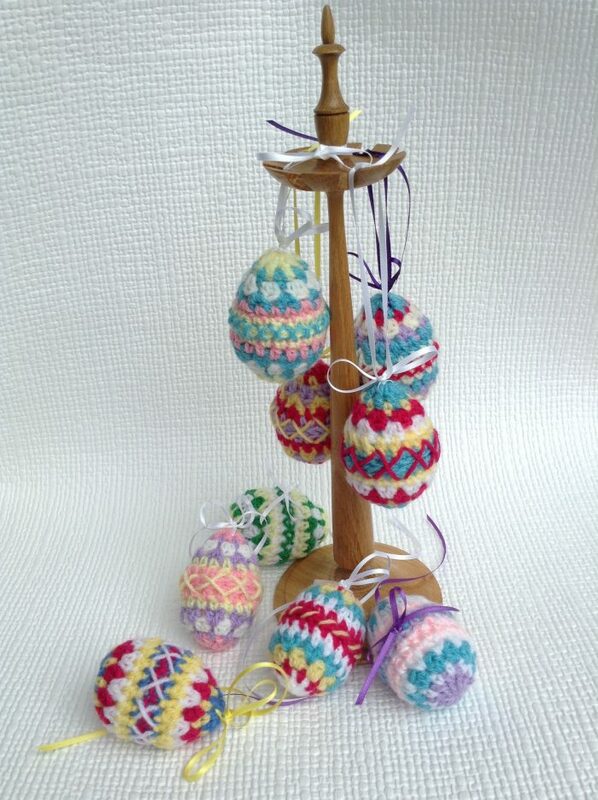 Have you made any spring decorations this year? I’d love to hear about them! This entry was posted in Uncategorized and tagged Colour, crochet, Decoration, Easter, finished, Finished object, Home, Spring, Wool. Bookmark the permalink. Only just hot here … those are lovely!